Sheet Metal Fabrication refers to the techniques and processes associated with the shaping and bending of sheet metals for making different components. Usually shape 0.006 and 0.25 inches thick sheet metal into a usable product. Sheet metal fabrication includes many machining processes meant to assemble, cut, or form a sheet metal workpiece. Sheet metal is exceptionally valuable, particularly in the modern industrial era. All over it is being utilized in manufacturing stainless tools, car bodies, aircraft parts, electronic parts, materials in constructing a building, and many more. Sheet metal fabrication services offer a cost-effective and on-demand solution for your manufacturing needs. Fabrication services range from low-volume prototype to high-volume production runs in a variety of sheet metal fabrication processes including waterjet,and plasma cutting, hydraulic and magnetic brakes,stamping, punching, and welding. For any sheet metal part, it has a certain manufacturing process, so-called process flow. With the difference in the structure of sheet metal parts, the process flow may be different. The process described below is mainly what our factory can do. Our metal fabrication facilities allow us to work on a vast range of work pieces. We are capable of fabricating small to large assembly work including high integrity machined components. A.Metal Cutting. We have Amada CNC punching machine, laser cutting machine, and flame cutting machine for sheet metal cutting. B.Bending. We have 4 sets bending machine, 3 sets for sheet metal, 1 set for heavy steel. C.Welding. We are ISO 9001 & ISO 3834-2 certificated, and welding operatives are trained and EN ISO 9606-1 certificated. 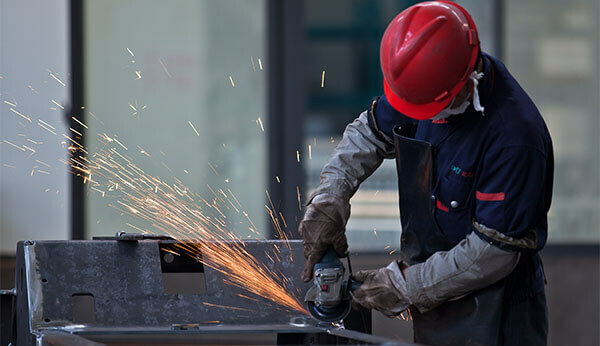 MIG, TIG, Oxy-Acetylene, light-gauge arc welding, and many other welding formats are available to compliment the specific types of metals and thicknesses that you will require to produce the equipment you need. D.Press Riveting. We have 2 sets pressure riveting machine to realize the reliable connection of two parts. 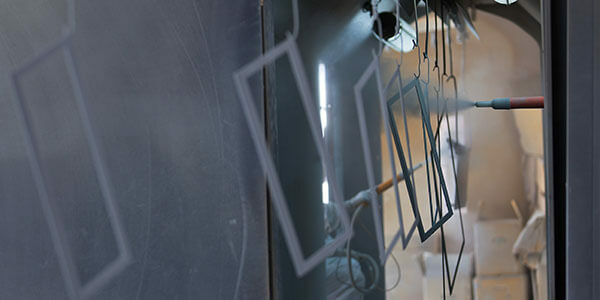 E.Powder coating. We have our own painting line that meets the environmental requirements of the government, to provide one-stop metal fabrication for customer’s different requirements. Shot blasting, powder coating, painting and sandblasting is self-owned, and galvanization is outsourced. F.Inspection Equipment. We have quality inspection process in accordance with ISO9001:2008.